← Let the Games Begin!… and then End! Bad to Worse and Back Again! I know I mentioned in my last post a teaser about a knit project, but for reasons that will be explained later (real later not end of post later) I needed a break, and so I am going to skip back a bit to follow up on an item from The Good, The Bad and The Brioche. Do you think it gives more life or less life once its been cubed, sliced, diced or julienned? So clearly my prior plans were not going to work and so I paused my quilting game and ordered one of the recommended interfaces instead. I ordered online as its never enjoyable to drive 30 minutes just to see if they have what you need. First there was an issue with the order amount, then there was snow in Georgia that delayed the order but eventually I did get at least a good portion of my interfacing. 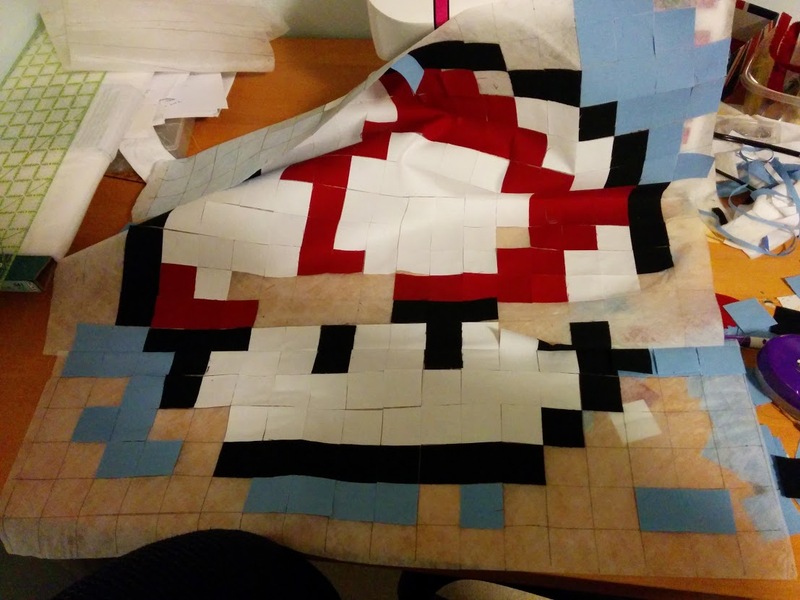 So I carefully laid out all my small squares (they are 1 1/2 inches) onto the new interfacing. Bonus being that this new kind was wide enough for a whole block of them! And then you iron them down.. and begin the seams. I started with the horizontal. Now I did find a couple places near the edge where I didn’t do as good of job with my ironing where the squares came loose, but that’s my own user error and I can fix that going forward. Next you start seaming the Verticals. 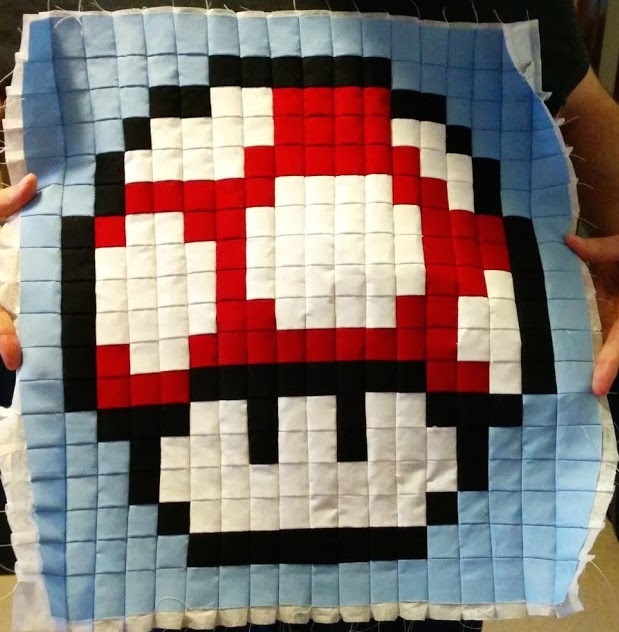 And eventually you end up with one 18 inch square Mario Mushroom pixel block. 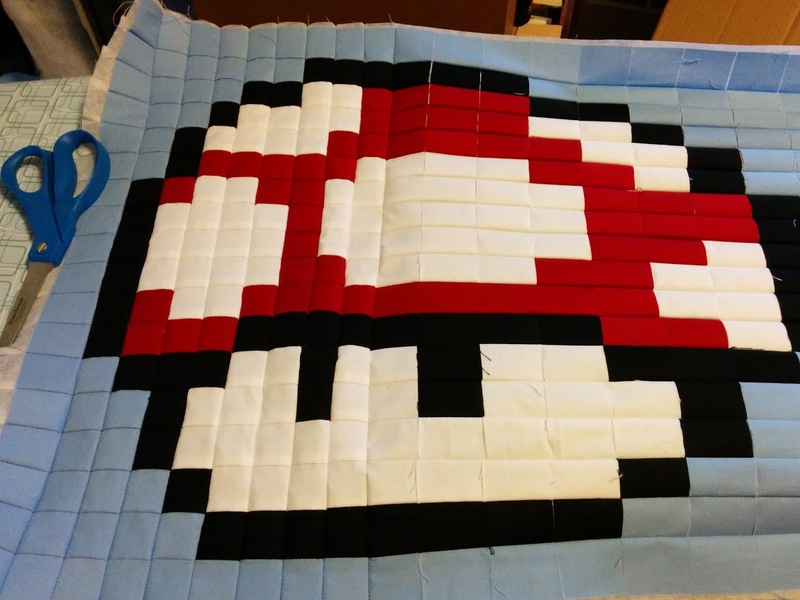 Until next time on… the Quilter Limits! One thing I really like about this method is that all the seams line up just so nicely! 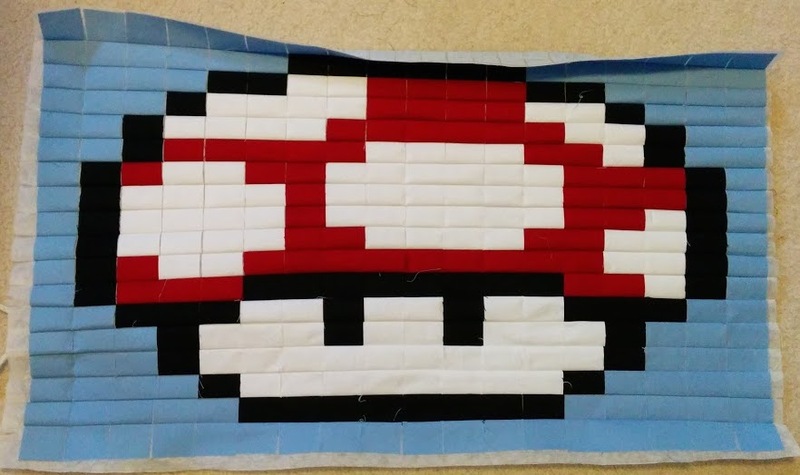 I only wish I didn’t feel like I was 2 months behind on the Quilt-A-Long Project.